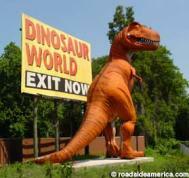 Dinosaur World's Special for Homeschooled Students Starts Today! Dinosaur World&apos;s Special for Homeschooled Students Starts Today! Hey Tampa Bay, Al ex here to update you on a Dinosaur World special starting today! So all of you that are homeschooled, plan a trip to view over 150 life size dinosaurs in this outdoor museum setting, while enjoying some of Florida’s beautiful sunshine. Check out, Dinosaur World for more information on this museum, directions and upcoming events and specials. Tell your friends and family about this great deal, and head on over to Dinosaur World today! Have a great weekend, and check back with us next week for more exciting information on Things To Do In Tampa Bay!